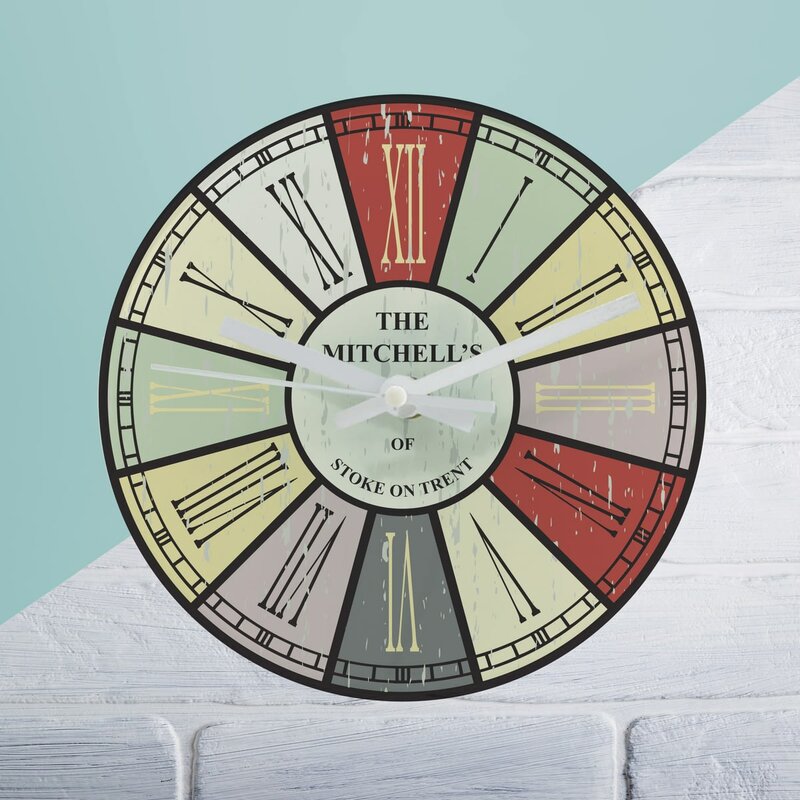 This round glass clock features a distressed design accompanied by your own personalisation. A perfect retirement gift, or even a house warming present. Made from environmentally friendly wood, this cheeseboard set is a must have for any kitchen. Complete with mini knives, this is an essential gift for any cheese lover. Do you know somebody who is always late? Then this is the perfect gift for them! Personalise this super cute, white bunny face clock with any name of up to 15 characters. The clock is made from wood and the hands from metal.